Whether speaking one-on-one or one to one thousand, women have specific challenges that can get in the way of their ability to convey ideas and engage an audience. 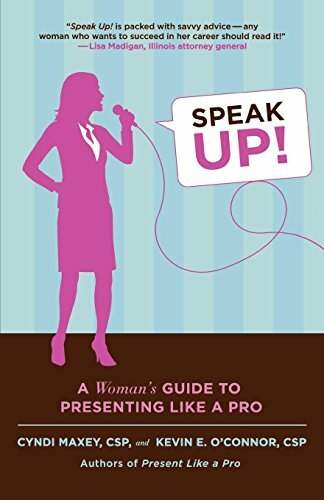 Public speaking professionals Cyndi Maxey and Kevin O'Connor give women the tips and tools they need to be able to speak clearly, with confidence and conviction, and present information effectively. For any woman who wants to get her point across, from the boss' office, to the conference room, to a convention center, SPEAK UP! will help you polish your presentation skills, get heard, and get what you want.